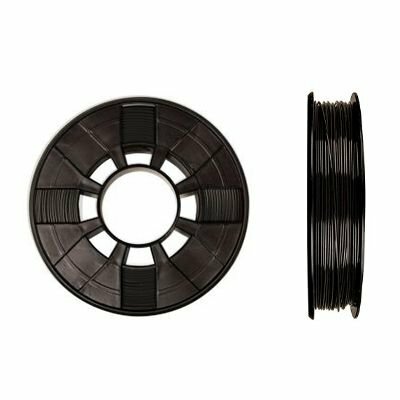 Makerbot PLA filament is a premium quality PLA, compatible with the Makerbot Replicator z18, Replicator 2, Replicator Mini, Replicator+ and Replicator Mini +. 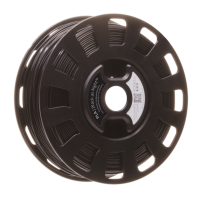 Makerbot True Colour Black PLA filament comes in spool sizes of 200g. Makerbot filament is made from high quality PLA, extruded with high diameter consistency to give you consistent and reliable 3D printing. High quality filament reduces the rate of 3d printing failure and saves you both money and time. Makerbot filament is produced using state of the art filament manufacturing and quality control standards and is trusted by leading institutions and companies throughout the world. Each Makerbot filament colour is comprehensively quality tested at 100-micron and 200- micron layer resolutions on MakerBot Replicator 3D Printers to verify it will perform every feature that MakerBot® MakerWareTM software offers. Makerbot PLA is optimised for adhesion to their Grip Surface, found in Makerbot Replicator plus and Replicator Mini plus 3D printers but also shows great adhesion for acrylic and makerbot build tape used on older Makerbot 3D printers like the 5th Gen Replicator. 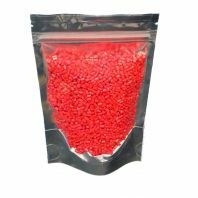 Makerbot PLA is made from non-toxic starch extracted from plants and contain no heavy metals, contaminants, phthalates, or BPA. Note: Store MakerBot PLA Filament in a cool, dry place as it can absorb moisture from air and long-term exposure to humidity can compromise filament quality and performance.